Welcome to Reception Class! 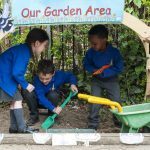 Here at St Mary’s we work hard to provide a warm, safe (physically, emotionally & physiologically) environment, where children can grow and develop, to give them the best start as they begin their school journey. 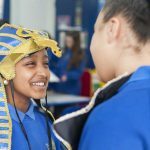 We promote their creativity, resilience as learners, their self-awareness and their awareness of others, both in the context of school but also the wider community. Come and have a look at the fun things Reception have been doing! As the children begin Year 1, they embark on another exciting year within our school. Now they start the transition from Reception to the more formal teaching in Key Stage 1. 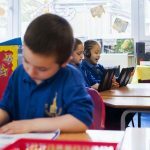 At the end of the year, they have to sit the National Phonics Screening Check – but don’t worry, our staff are here to support the children and parents/carers and the children will still enjoy our wonderful Creative Curriculum throughout the year. Come and have a look at the fun things Year 1 have been doing! Welcome to Year 2! This is an exciting year for our children. Not only are they the oldest class in our Key Stage 1, but they will enjoy all of the responsibilities that come with it: Including the key roles on our Christmas productions. 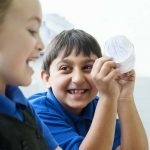 At the end of the year, they will sit their National Key Stage 1 SATs – but don’t worry, our staff are here to support the children and parents/carers and the children will still enjoy our wonderful Creative Curriculum throughout the year. Come and have a look at the fun things Year 2 have been doing! Welcome to Year 3! And welcome to the first year of the juniors! Your child is now in Key Stage 2, and with this they get to enjoy a wider range of activities. Now they will be learning Spanish and will enjoy swimming lessons at Highbury Pool. As they embark on their journey through the juniors, it is a very exciting time for our children. Come and have a look at the fun things Year 3 have been doing! Welcome to Year 4! In year 4, your children will begin to further develop their talents at Spanish and Swimming – as well as exploring more complex and exciting parts of our curriculum. 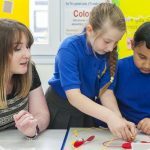 The children have a great time enjoying the creative curriculum – but if the work they bring home is getting trickier – please do come and ask the class teacher! Come and have a look at the fun things Year 4 have been doing! Welcome to Year 5! Now your child is in the upper juniors. This year they will start being selected for ‘Young Leader’ roles around school as they prepare for their final year. They will also have the opportunity to represent the school in our football teams, as well as many other exciting activities. They still enjoy our fun creative curriculum too! Come and have a look at the fun things Year 5 have been doing! Welcome to Year 6! This is an exciting year! Your child is now in the upper juniors and in their last year of Primary School. With this comes a whole host of exciting things. 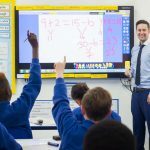 They will take up the key ‘Young Leader’ roles; such as House and Sports Captains, as well as having the opportunity to be selected as a School Prefect. 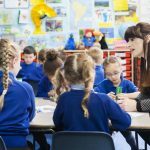 At the end of the Year they will sit their National Key Stage 2 SATs tests – which they will be well supported for during the year. They also get to enjoy a residential trip away, and an end of year prom, before they leave us for pastures new. We support all of our children in their transition into Secondary School – to ensure the best possible start for them in the next stage of their life. But before then… Come and have a look at the fun things Year 6 have been doing!